The night of your dreams – or more like a nightmare? Tuxes and limos – or a casual dance? It’s the biggest night of your life according to the biggest teen authors on the planet. Why live it once when you can do it 21 times? From the dancing to the kisses/hugs/tears and floor-length champagne chiffon dresses, there are heaps of ways to do prom. How are you supposed pick just one? No bothers: these dazzling short stories let you try it every which way. Would you prefer a grand ball or a morp? (That’s a reverse prom, doncha know.) Will you kiss a prince, a frog or your best friend’s date? 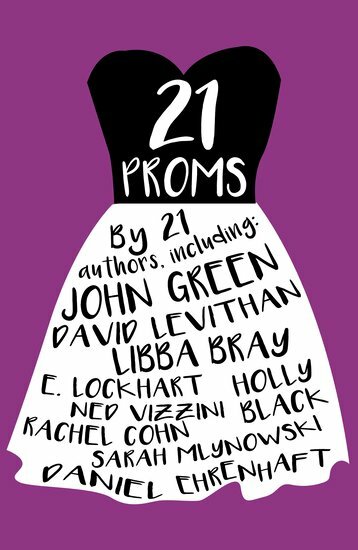 21 amazing YA authors – we’ve got John Green, people! – capture the very essence of what prom means. However you end up doing it.